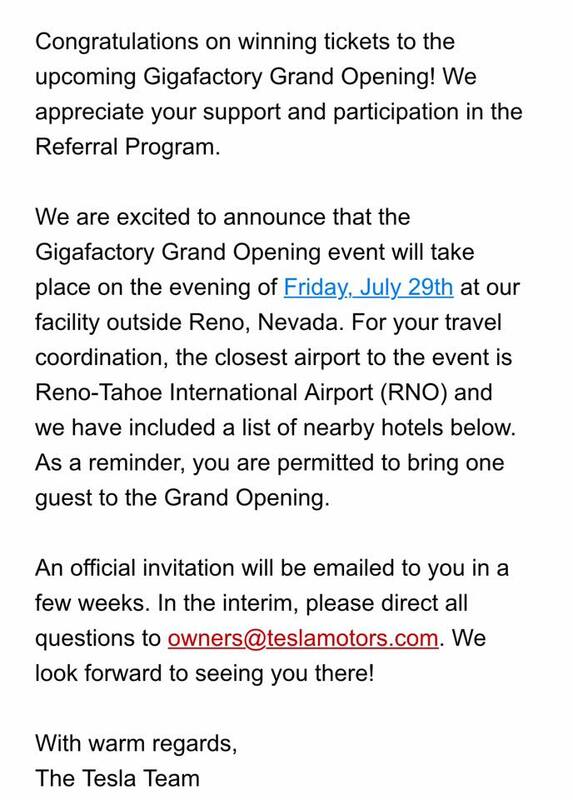 Marking a month before the grand opening of the Gigafactory on July 29, 2016, Tesla sent out an email to 12 lucky Model 3 reservation holders, inviting them to an all expenses paid trip to attend the celebration in Reno, Nevada. Those chosen are among the 150,000 customers who pre-ordered during the first day before the unveiling, electrek.co reported. The email from goldenticket@tesla.com states. 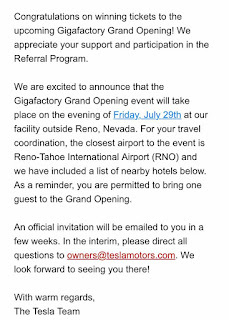 Back in May, Tesla owners reported receiving an email informing them that they won tickets to the grand opening of the Gigafactory after referring five or more Model S buyers late last year through the Tesla Referral Program, however those invitees have to pay for their own travel expenses. 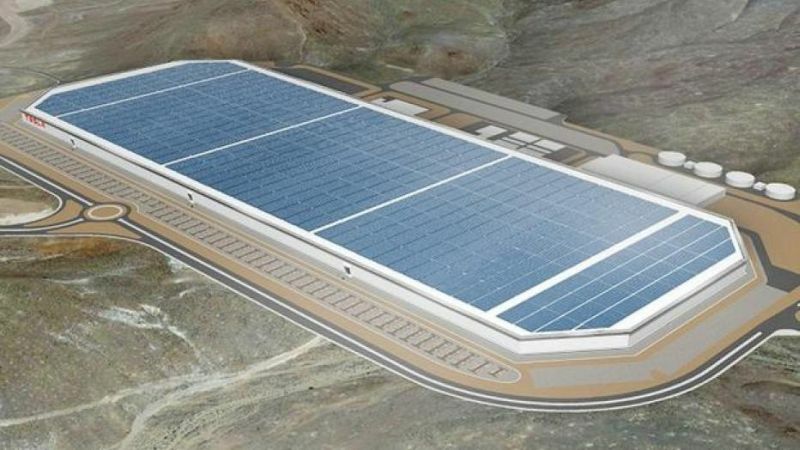 The Gigafactory will have one of the largest footprints of any factory in the world once it is fully operational. The total size of the factory will be 5.8 million square feet, however it will have an operational space of roughly 13 million square feet due to some sections standing four stories tall. Tesla has also purchased land around the site for potential expansion. Eventually the entire roof will be filled with fixed-tilt solar panels. Elon Musk also confirmed that the compound annual growth rate of decline until the factory is open will be another 30% on the battery cost once the Model 3 is on the production line. The factory will have the capacity to produce 35 gigawatt-hours of battery cells and 50 gigawatt-hours of battery packs per year.